According to the most recent batch of Fake News™ reports, RIT's Student Government (SG) has been using Ouija boards to make decisions in recent senate meetings. An investigator who wishes to remain anonymous for fear of backlash from the administration presented us with these claims, along with photographic evidence of one of these seances, as pictured. 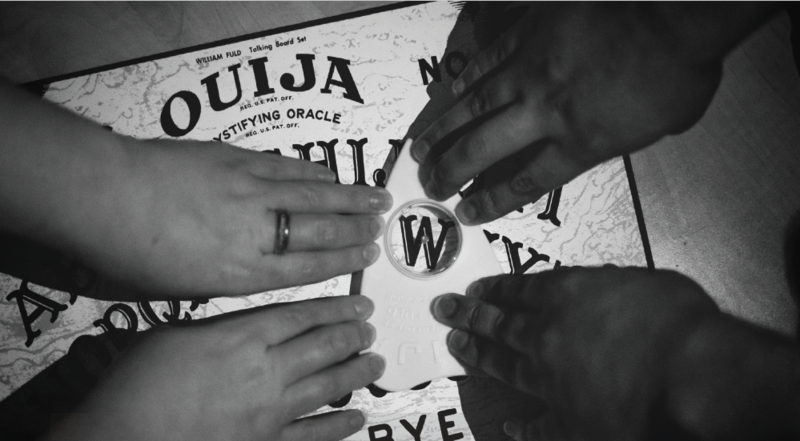 Upon further investigation, it appears that SG has been consulting the Mystifying Oracle for a while, with classified archives showing links between official decisions and Ouija board usage. Even more interesting was the discovery of a “Wrestler Dungeon” underneath the SG office. The dungeon houses President Wrestler's suits, Wrestler voice changers and even mysterious hologram devices. Distorter managed to schedule an interview with this investigator, an inside member of SG herself, to tell us more about what all of this means. President Wrestler has been dead for seven years. “President Wrestler has been dead for seven years,” she said, citing classified obituaries. “SG has been pretending he is alive by having someone pose as him at public events and administrative meetings.” After further research, Distorter has confirmed the death of Wrestler in a 2010 weather machine malfunction which saw him permanently buried under 72 feet of snow, the average daily snowfall in Rochester. Reports and obituaries were posted in local newspapers; however, they were quickly dismissed as false by SG representatives, and shut down. To be clear, the obituary reports weren't shut down, but rather, the entire news operation was mysteriously dismantled overnight. An ongoing investigation has been launched to look into these claims. We have since reached out for further interviews with our anonymous source, but all records of her as a student and a member of SG have been redacted, as well as records of her existence outside of the university. [SG] seems to be communicating with [Wrestler] using the Ouija board. Even stranger, President-elect Munchkin has been spotted at the most recent Wrestler-summoning, prompting even more questions about his involvement in the bizarre ordeal. Why would Munchkin replace Wrestler as president if the banjo-wielding immortal can run the show from the dead? Is Munchkin just a front so that students do not get suspicious of an indefinite Wrestler administration? Is he trying to put an end to Wrestler’s undead reign from the inside? We also reached out to Wrestler to comment and he stated he has "never felt more alive. Sent from Sandra's iPhone,” ignoring our questions and concerns over Munchkin and the alleged Ouija board scandal.